The popular FINAL FANTASY® TRADING CARD GAME (“FFTCG”) released its seventh card expansion, “Opus VII” today. The “Opus VII” set features original, never before revealed, exclusive artwork by Toshitaka Matsuda (FINAL FANTASY V), Toshiyuki Itahana (FINAL FANTASY Crystal Chronicles: Ring of Fates), Akira Oguro (FINAL FANTASY Legends) and Kumiko Koike (FINAL FANTASY, various monsters). Featuring 138 unique cards, the set also introduces individual characters, Noctis (FINAL FANTASY XV) and Lasswell (FINAL FANTASY BRAVE EXVIUS®) for the first time, with more support coming for both titles next year. Each “Opus VII” Booster Pack features twelve total cards with one premium foil card, bringing players even closer to completing their FINAL FANTASY TRADING CARD GAME collection. 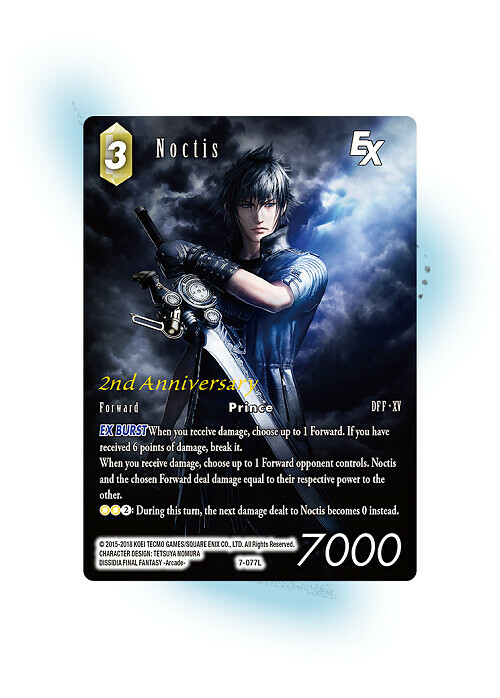 Players who purchase a full Booster Display Box from participating retailers can receive a full art version of Noctis while supplies last. 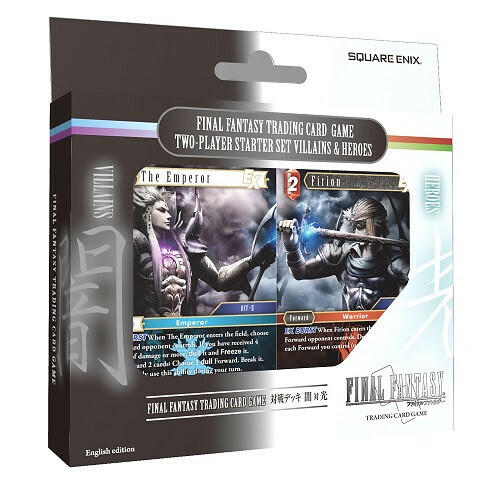 The FINAL FANTASY TRADING CARD GAME also recently released its first Two Player Starter Set: Villains & Heroes, themed around DISSIDIA® FINAL FANTASY NT. The new Starter Set features two decks and is a full two-player game without need for additional cards. Both decks contain popular, powerful cards, including Genesis (Crisis Core: FINAL FANTASY VII) and Vivi (FINAL FANTASY IX), that can be used to supplement existing FINAL FANTASY TRADING CARD GAME decks.